For buyers looking for the best that Bushnell has to offer, their quest may end with the Bushnell 8MP Trophy Cam HD Wireless Black LED Trail Camera with Night Vision, which is easily at the top of the list in their lineup. Enjoy some of the best optics from one of the leaders in the industry with this trail camera masterpiece. The build quality is top notch and suffers from no standard defects, as it is built to last for years even if used heavily. A couple of drops and dings won’t render the device useless, making this high priced purchase worth sinking the extra money into. With a design that is sleek enough to be put around your home for security but blends in enough to be put out in the woods without being detected, consumers get the best of both worlds with this camera and its uncomplicated design. A sim card with an attached data plan is included with unlimited thumbnails for the first 30 days, keeping buyers from having to hunt for compatible sim cards and cheap data plans. Everything you need to go works right out of the box with little to no configuration. The plans are both affordable and easy to upgrade or downgrade at will, and without any uncomplicated tiers. A single set of batteries will last you a full 3 months using all of the advanced features including wireless, which is known to be a big battery hog. The programmable trigger interval will give you only the shots that you want, and in the case of the video it features more video options in a game camera than many will know what to do with. Video options are plentiful, and once you learn what each one does you will always be able to get that perfect video. This is one of the best game cameras on the market, so make sure to purchase it today. At the top of the list, it’s hard not to start off with the wireless feature as being the best. Before this camera came along it was a hassle to go out and find a sim card and compatible data plan for your game camera. This included sometimes cumbersome setup options and testing to make sure that everything worked, only to have it stop working a couple of days later. With everything being included and it being offered directly from Bushnell, it takes a lot of the frustration away from the user and makes it more streamlined. Customers only need to worry about which data plan they want to use after their 30 day trial expires. Using the wireless functions are easy, and with it buyers can send thumbnails of their photos to their email or text message to their phone. This is a no contract plan that runs through AT&T’s network, so for availability of a wireless signal make sure to check the AT&T coverage map and make sure it is offered in your area. Because of all the hoopla around the wireless feature many are not giving just do to the motion sensor and passive infrared sensor. These two sensitive functions use heat as a detection in combination with motion, letting the camera know when it is time to take the shot or when it is a false positive. The built in temperature signature is self-regulating, so weather conditions will not affect its efficiency. This gives you the best shots possible in all conditions all without having to worry about the camera functions, since it will auto adjust accordingly. These sensors that are built in reach out to 60 feet, and with a trigger time of 0.6 seconds money shots are all but guaranteed. The Hyper PIR function of this is adjustable, so consumers can tinker with it to their liking until they get a setting that is perfect. It’s a highly customizable function that works for everyone. Lastly, taking shots at nighttime can be a big hassle if you don’t have the right camera. But with the 32 infrared no glow LED’s built into the system it can take night time shows without a flash alerting the prey, and all without losing quality. The flash foot range is still 60, so both the distance and the brightness are unaltered at night and functions just as if it was a daytime photo. Your photos in the dark will be masterful and full of details, and the entire multi-flash setup can be changed to configure battery power. Other operating modes that work during the day as well would be the Field Scan 2x technology that can capture images at preset intervals using two different time frames. Since it can run simultaneously with the live trigger mode you won’t miss any of the action while still having your customized settings running side by side. On the 2.4 inch LCD you’ll get plenty of space to look at your photos from the camera without having to squint to see them. The screen is clear and crisp, and with 8 MP to take photos with it is easy to see the difference in quality from an older camera. The high resolution pictures saved to the camera look incredible on larger screens, even when you set the camera to operate at lower megapixels like 3 and 5. A point to note is that the pictures sent through the app, text or even uploaded to the cloud will be low res for the purposes of the wireless services. All of the full hi res pictures will be retrievable through the camera itself, and if you have a particular need of some specific pictures in their full resolution and you can’t get to the camera you can always go to the Bushnell site for one of their hi resolution packages. It’s a nice one off, and since some people need it more than often they have different packages. Video is also incredible detailed for what is offered, and the only thing really missing from this is the beloved hybrid mode that allows you to capture both photos and video. It’s a killer feature that is missing, but not to the point where it drops the rating of this camera at all. Both pictures and videos are some of Bushnell’s best and should please several parties. This is a hot selling camera that is getting high ratings for a reason, so if you need something now then this is a safe bet on all accounts. It meets or exceeds the expectations for all hunters in features, and even if your goal is to use this as home security there are now people that are so impressed with it that they’re buying them in packs of 4. The pictures are so crisp and detailed that the correct settings can even give you license plate numbers of passing cars, all without blur. Imagine what the video detail would be like if this ran under those same settings. Bushnell went all out with the app features, the access to the cloud, and the inclusion of a sim card and data plan. The hard part of owning a wireless trail camera was always the setup, and now it doesn’t even take more than a couple of minutes. It is a huge innovation on all fronts and people should definitely check out the camera and see what the big fuss is about. One thing to keep in mind though is that the cost per month with the data plan is cheaper than using AT&T directly, which is why this product is viewed so favorably. Technically minded individuals have taken it a step further and overridden the original sim card with their own, and in combination with a repeater in nearby woods area have created a virtually unlimited version of this plan on their own network. Now keep in mind this setup will only work if your camera is within a comfortable range of the repeaters, so this is a setup more for the adventurous consumer rather than the normal one. 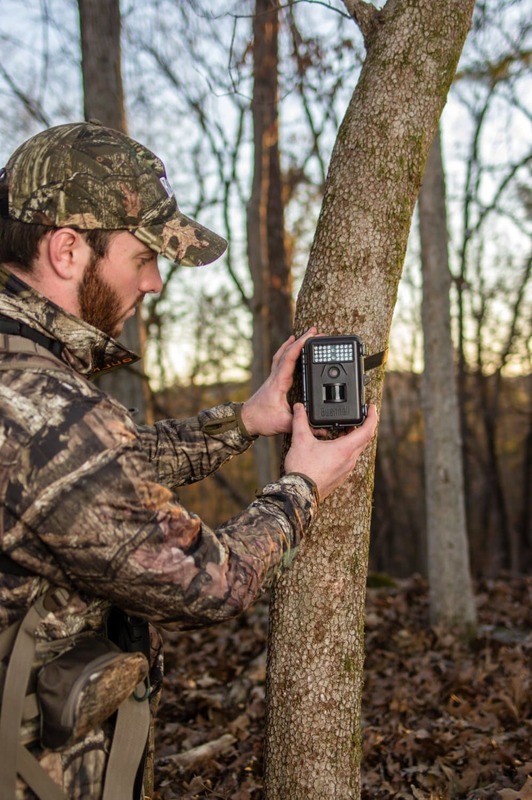 Consumers will be hard pressed to find a wireless trail camera that is built from the ground up to be a no fuss solution for getting your pictures to you without a problem. Bushnell not only made it a reality, they knocked it out of the park with this model. They wrapped their high end features for a game camera around the simplicity and speed of an AT&T data plan. The plans are affordable, honest, and easy to use after the initial 30 day trial period. There are several ways to access your photos, and you can achieve all of them without even being in the same country as your game camera. This is one of the best cameras on the market and worth the money wherever you decide to buy it.